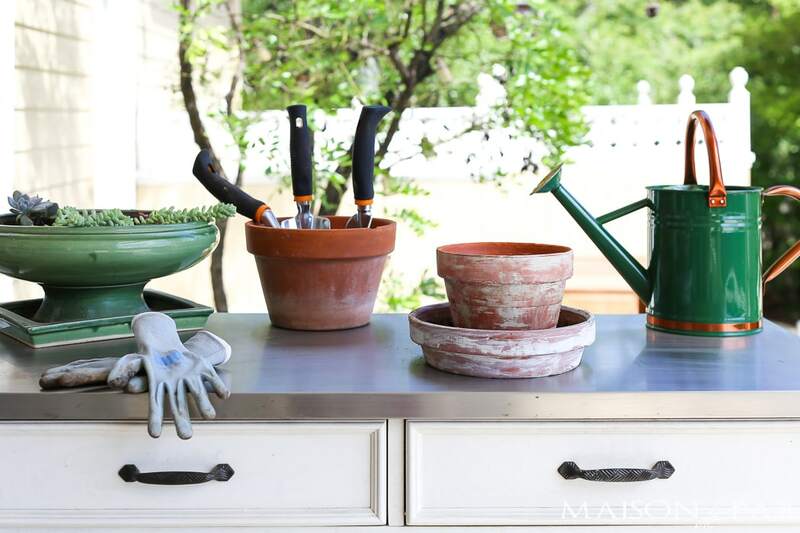 Looking to develop that green thumb? 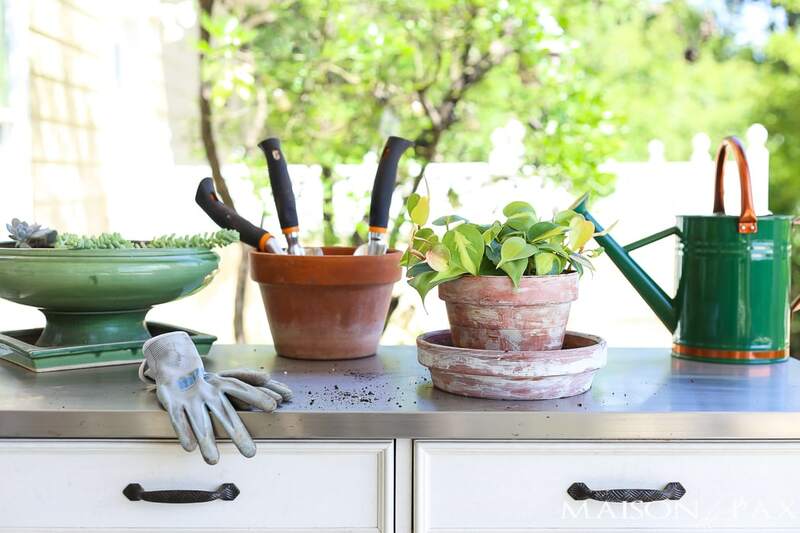 You won’t want to miss the best gardening tools and products for all your gardening projects. Last fall I was ready. Five days later, we began our big kitchen renovation, and the back half of the house (including our back door) was blocked off by plastic. Two days after that, I found out I was expecting baby #4. Let’s just say it was at least a month before I revisited the garden. Oops. All that to say, I am far from a professional gardener. Heck, I may have graduated from a black to a brown thumb, but I’m still a long way from green. 😉 But that’s ok… I am determined to enjoy our beautiful landscape and weather, and I love to incorporate live plants both into my home and in our backyard. And I’m pleased to say that with a few of my favorite tools (and a 6 year old who waters bi-weekly as part of his chores), I am still able to keep enough plants alive to enjoy spaces like our patio this spring. And as I’m a busy mom and an avid Amazon shopper, I thought I’d share with you all my top five gardening products… all available on Amazon. These are amazing. I hate bulky, smelly gloves, but I don’t want my nails ruined nor do I need to be gardening without some protection when pregnant. They keep my hands cool even in our hot climate, and they feel like you’re wearing almost nothing. I’ve had mine for a year or so, and they have held up beautifully. When they get too gross, I just throw them in the washing machine! A good watering can is a must. I have gone through lots of the cheap plastic ones for my kids to throw around (and they’re great, too), but for a durable, controlled flow, I love this metal one. It’s cute with the copper accents, and the nozzle unscrews both for cleaning and to allow watering my tiniest plants indoors. 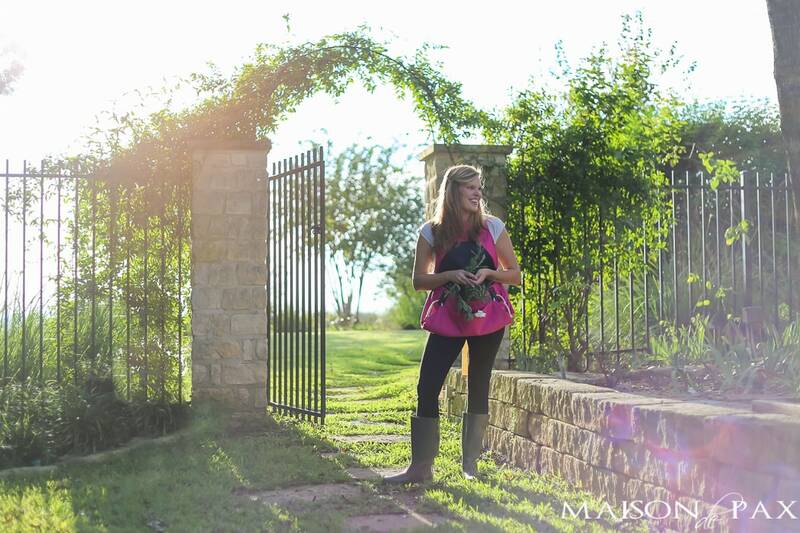 I shared all about this fun accessory last fall. They are super versatile and keep me fairly clean while working… Which is good because ain’t nobody got time for a shower midday with three kids running around. I confess that it looks a little funny right now as I’m 9 months pregnant, so I’ll spare you the current pictures of me modeling it. These are perfect for smaller planting projects. 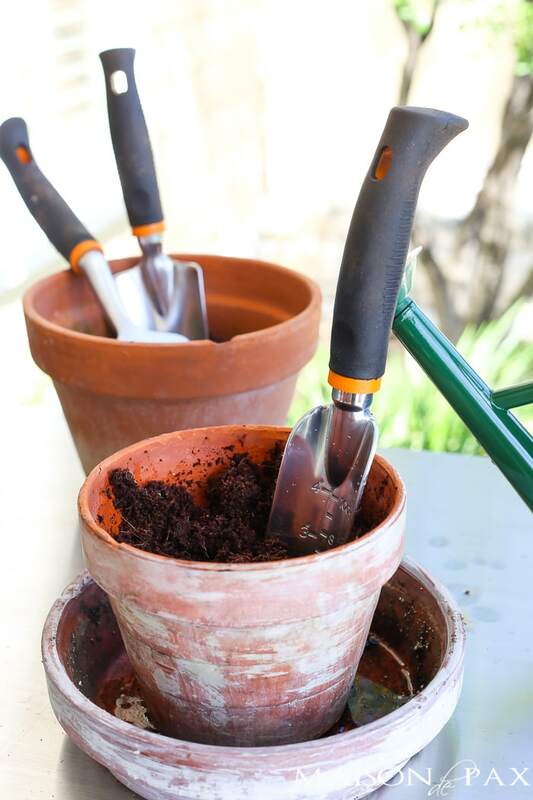 Whether you’re creating pots or even in-ground herbs and smaller produce, a good fork and trowel are must-haves. This little set is less than $20 and incredibly durable and easy to use. Can’t go wrong, right? This stuff is new to me, but I’m quickly becoming a fan. 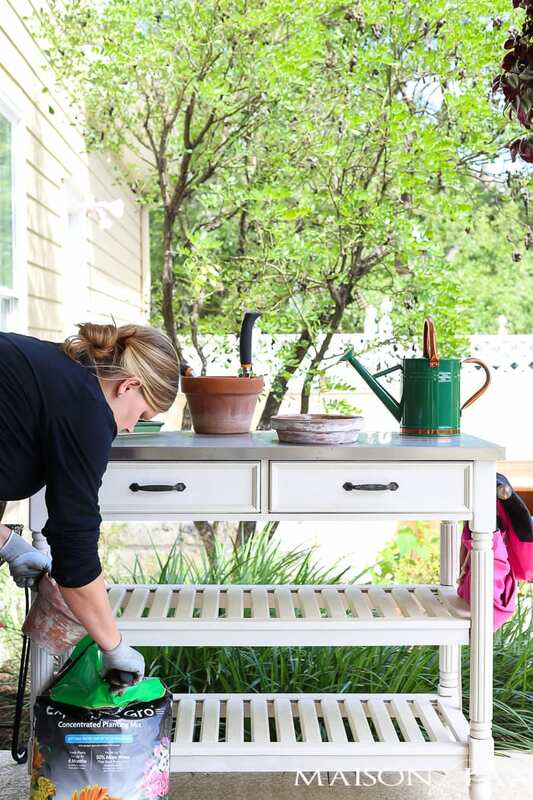 When Miracle Gro reached out asking if I would like to try this new product, I thought of two major benefits: first, I don’t have to buy and lug a huge back of potting soil at the nursery. For this pregnant mama, that’s a huge win. Second, it holds up to 50% more water than basic potting soil, and in our dry, hot Texas summers, that means more plant survival! It’s definitely different than traditional soils, as it is basically concentrated and dried, making it a much lighter and smaller bag – hence the ability to ship it to your door. It’s so easy to use, though. You simply fill your container up 1/3 of the way, add water, and stir. 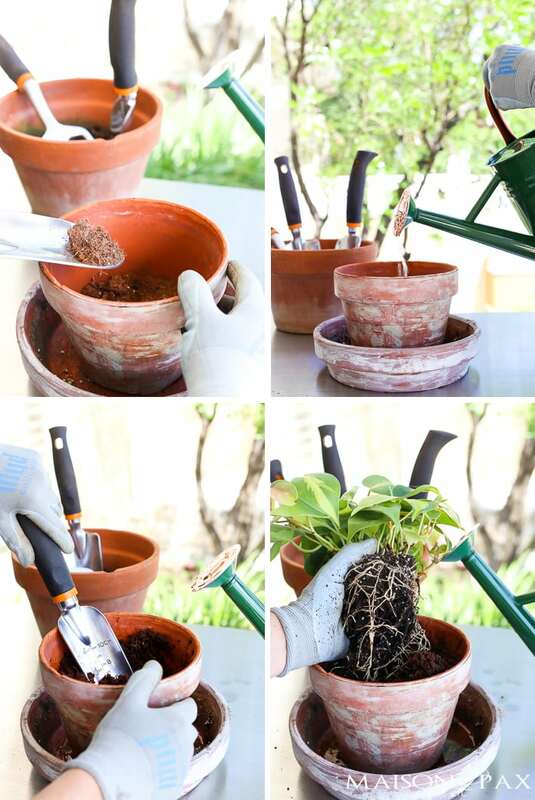 The soil will expand up to 3x its size as you stir (seriously, see the pictures below), and then you plant as normal. I’m in the process of a slightly larger project with the soil that I’ll be sharing soon, and I can’t wait to see how its moisture retention helps my plants to survive our hot, dry summers. 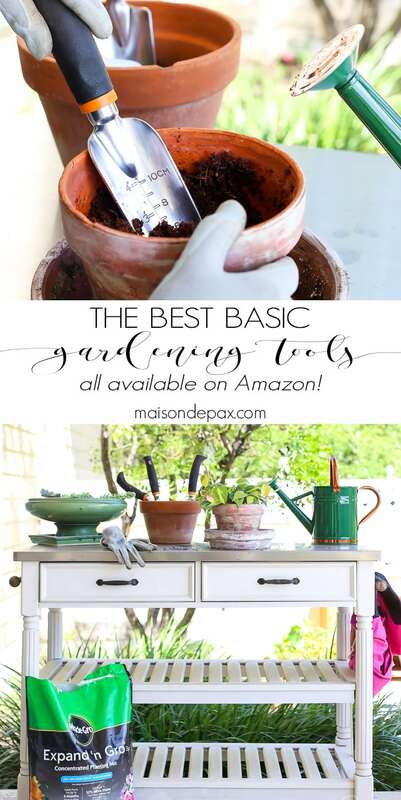 In the meantime, I do hope you found this list helpful… Seriously, these are the best gardening tools, and I’ve used many of these things for years (and still love them). Plus the ease of having any of them shipped to your door means you’re ready whenever it strikes your fancy to get your gardening on. I hope you will this spring and summer! Where didn’t you get the great table? Is it rainproof, I live in Oregon! Best to you and the new baby.